On November 21, it was learned from the Huai'an Maritime Department that Huai'an's first 1,000-ton oil tanker with a total investment of more than 4 million yuan was fully completed and will soon be put into operation. The 1,000-ton oil tanker has a total length of 56 meters, a width of 11.8 meters and a depth of 3.65 meters. It has eight independent oil tanks and a full load of 1,000 tons. It is the largest oil tanker in Huai'an history. The tanker is fully equipped to achieve zero discharge of oil and domestic sewage, with good economic and safety performance, and set a benchmark for Huai'an safe and green shipping. 1. The pulping,smoothing and finishing of Parking lot, plaza, airport and the concrete surface. 2. Construction of concrete and epoxy floor of highway, workshop, warehouse. 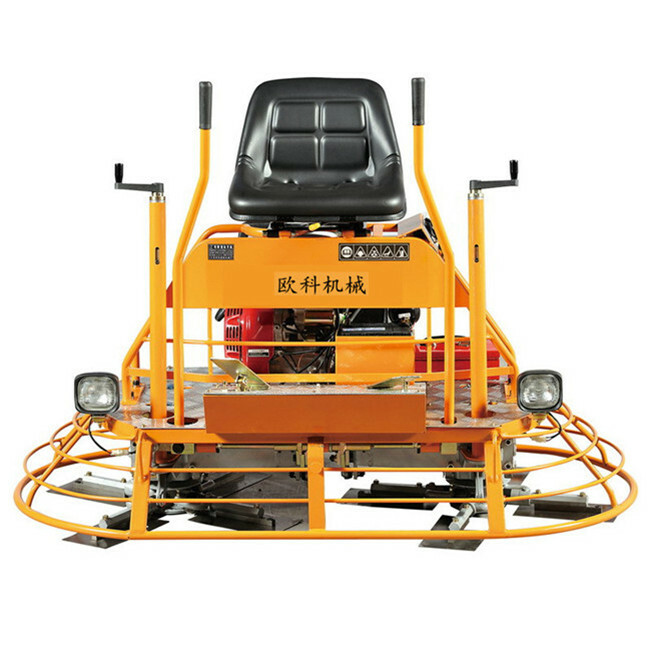 After construction, the surface is smoother and more even than the surface of artificial construction, which can greatly improve the compactness and abrasion resistance of the concrete surface,More than 10 times more efficient than manual work. 1. Tri tube laterally welded handle for strength and protection of control cables. 2.Chromed handle and guard ring for easy cleaning. 3.It has pitch control, throttle control, and a shut off switch at the handle. 4. Precision machined spider assembly for maintaining machine balance and minimum parts wear.